The kids use the Apple II to hack into the terrorist network. This is a great movie! If you're reading this, get a copy and watch it. A classic example of campy 80's video. The story is actually very good, if you can get past the poor production quality and cheesy dialog. 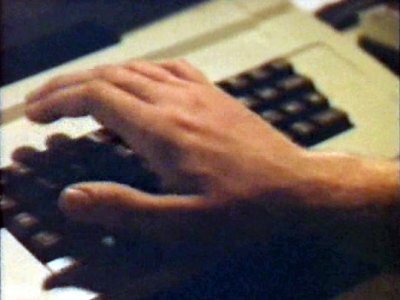 The best part about this scene depicted was the paper wasted on printing every result from their brute force password hacking attempting to gain entry to the BBS they want to play on.